The Maldives has announced an 18.7 per cent increase in UK visitor arrivals during November 2017 compared with the same month in 2016. In total, 9,579 UK visitors travelled to the Maldives during November 2017, compared with 8,073 in November 2016. In addition, UK visitors represented 7.9 per cent of all visitors to the Maldives in November 2017, with a total of 94,258 UK visitors travelling to the Maldives in the first 11 months of 2017, a 1.1 per cent year-on-year increase. In terms of worldwide arrivals, the Maldives enjoyed a year-on-year growth of 15.2 per cent in November 2017, with 120,506 international tourists visiting the Maldives during November 2017. The total number of arrivals to the Maldives in 2017 stood at 1,246,502 by the end of November, an increase of 6.8 per cent on the same period in 2016. To support the increasing demand for tourism in the Maldives, the country will welcome several new tourism developments during 2018, including expansion plans at the recently rebranded Velana International Airport and the opening of the China-Maldives Friendship Bridge in July 2018. There are also expansion plans for health services in the islands. His Excellency Mohamed Anil, the islands’ Attorney General, said, “This is a very exciting time for the Maldives with a number of key infrastructure developments taking place during 2018 and beyond, which will benefit both tourists and the local community. 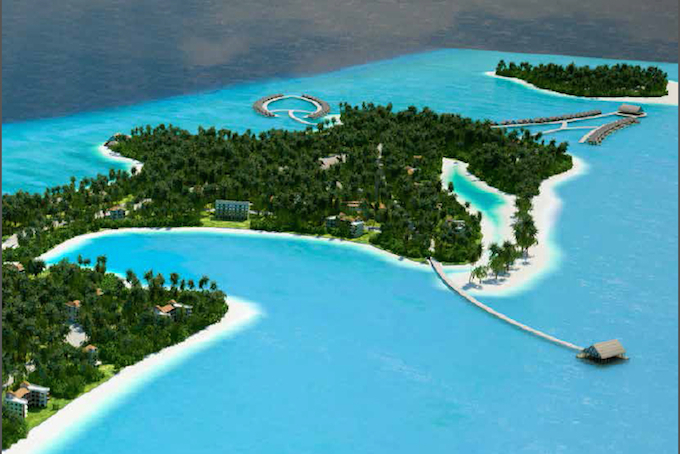 • RCI has two resorts in the Maldives.